Floods may really seem like the end of times. A great flood can take away lives and properties in an instant. This century has undergone severe global warming which has increased the occurrence of weather-related disasters. The past decade has witnessed the Indian tsunami which sunk parts of Asia and took lives in a matter of minutes. Recovering from a flood disaster can be a long process which requires understanding and evaluating the consequences of flooding and the rebuilding of infrastructures and healing of trauma. The consequences of flooding can be devastating. Flooding immediately destroys lives and properties. Flood effect can change the feature of land areas permanently. What are the effects of flood? The most immediate floods effect would be the destruction of homes. People get displaced and may have to evacuate to higher ground where their lives are at risk as long as the waters remain on a certain level. Causes and consequences of flood affect not just people but the environment. The destruction of structures such as bridges and roads add to the human toll and prevent help from reaching devastated areas. Structures such as nuclear power plants are also put at risk. On 2011, a tsunami hit the coastline in Japan causing leakage in nuclear plants. There was high radiation recorded on the area and authorities feared the worst. Many people including animals are affected by the flood. Floods effect are expensive disasters and rebuilding an area devastated by a flood can be costly. In the United States, they cost $2.4 billion per year and can occur with weather-related disasters such as hurricanes, and typhoons. Rivers which overflow can also cause waters to rise in an area. A dam breaking, snow melting also cause floods. Earthquakes, which presage tsunamis can cause massive flooding in coastal areas. What damage do floods cause and how to restore that damage? Damages caused by flood are immediate. Lives are lost, properties are destroyed and if rural areas are hit crops are destroyed. Flooding causes severe damage, disrupts economic processes and causes a food shortage. Consequences of flooding on property value will cause areas who continue to have flooding problems to have a decrease in real estate value. There will be areas that are more prone to flooding issues. The flood problems in these areas increase the already degraded state of their environment. Flooding impact, especially in urban areas, is enormous. People may have to get stranded during the commute and get stuck for hours. The flood destruction in cities disrupts business, commerce, and tourism. 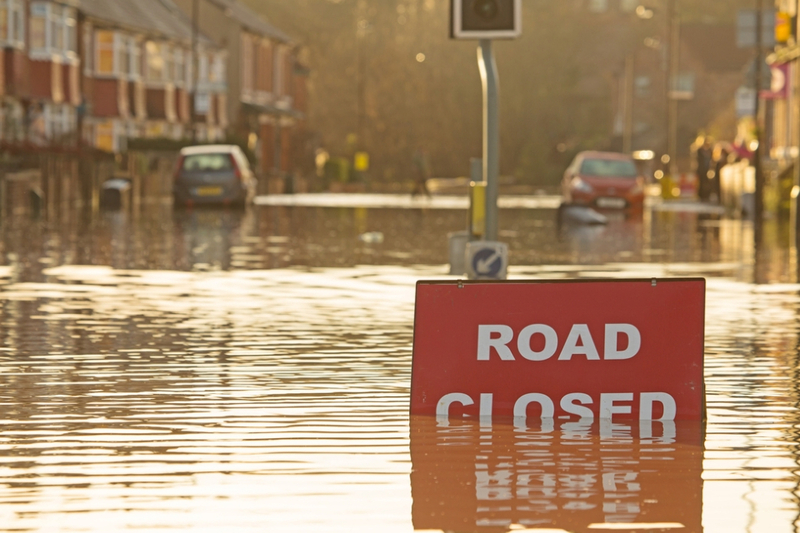 Flooding causes and effects have far-reaching consequences. There are times of the year where floods are more likely to occur due to hurricanes and typhoons. What are social impacts? Flooding issues include families being displaced resulting in trauma. Mental health professionals should be part of the emergency response team to help people deal with the consequences of the loss of property and loved ones. Long term challenges may include having to deal with the loss of livelihood and property. Individuals affected need to rebuild their lives and possessions. Government help is needed in disseminating aid and repairing structures that can help a community recover. The environment can get severely devastated from a flood. Flood is mainly dirty water that carries waterborne diseases and possibly chemicals that can affect the quality of soil in the environment. The water supply in an area may get polluted from flood water resulting in diseases and epidemic. How does flooding affect rivers? When there is too much rainwater especially after seasonal rainfalls the water in the river overflows and travels to the surrounding land or area. Places near rivers and bodies of water are always at risk of floods. How do floods affect animals? Like people, animals can get displaced during a flood. Many animals die during a flood because their habitats have been destroyed. Pests and wild animals such as snakes may migrate to densely populated areas and cause much havoc. Effect of flooding on property value can cause real estate in an area to plummet. In cities and residential areas, the first thing that people look for is safe disaster free areas which are not near earthquake zones or prone to flooding. There are zones or areas that are more susceptible to flooding because of poor town planning or proximity to bodies of water. People may be compelled to leave a place if there is a regular occurrence of devastating floods in an area. There can be a mass migration to higher or safer areas. People who have been constantly devastated by disasters such as floods may be moved to abandon their homes and roots entirely to plan out better futures in a place away from floods. Often, people move to the cities which cause much congestion in these areas and further economic challenges. The most severe consequences of flooding are on the economy. During a flood, everything stops including business and economic processes. Floods destroy food sources and transportation routes. A country that is regularly experiencing floods is expending money on recovery instead of growth and development. Livelihoods are likewise disrupted and businesses will be unwilling to invest in disaster-prone areas. The development of these areas will be at a standstill. After a big flood or any other kind of disaster, communities take some actions to ensure people safety and decrease the chance of property or life loss during the next natural disaster. Many experts point to climate change as one of the reasons behind the extremes in weather conditions. Damages caused by flooding are many and they affect both economically powerful and struggling nations. The initiative towards taking better care of the environment can halt the devastation of weather-related disasters. There should be a concerted effort by governments to decrease global warming by improving methods in combatting pollution and degradation of the environment. It is important that a town has a good layout to prevent possible structural problems. Engineers and architects should study the area and build structures that can withstand the challenges in the environment. Water systems should not be blocked and drainage systems must be covered. Rainwater must be allowed to pass through smoothly in the town’s drainage system. A good drainage system offsets the effects of flash floods resulting in a safer area. The loss of trees and vegetation in strategic areas exacerbate what damage can floods cause. Trees, shrubs and grass help protect areas from a flood by moving water. People should be encouraged to use vegetation to break the force of moving flood waters. In areas where there is severe flooding, basins should be installed near waterways as a temporary receptacle for floodwater. Flash flood causes and effects can be mitigated by a detention basin. When flooding occurs, the floodwater is drained into the basin first giving people ample time to evacuate. The consequences of flooding can be reduced with education. In some areas, waterways are clogged with litter resulting in floods during rainfall. Instructing people about proper waste disposal and putting the proper containers for a litter can help for a cleaner environment and drainage system. People should also be educated about what to do during a flood to prevent the loss of lives and to ensure that each member of the community will be protected when an emergency happens.